Under Chapter 13, an individual must pay at least a portion of his or her debts under a court-approved repayment plan. 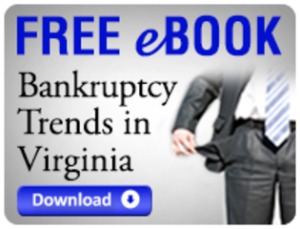 The plan lasts for three to five years and the amount of each monthly payment is based primarily on the individual’s disposable monthly income as determined by a bankruptcy budget or, for individuals whose household income exceeds the median in Virginia, a means-test budget. Individuals whose incomes exceed the amount necessary to qualify for Chapter 7 under the means test may be steered into Chapter 13 instead. Additionally, Chapter 13 is often the bankruptcy of choice because it is useful for curing mortgage arrearages to save one’s home, for retaining non-exempt assets that would otherwise be liquidated under Chapter 7, or for paying debts (like taxes) that would be nondischargeable under Chapter 7. In some cases, Chapter 13 can be utilized to strip off wholly unsecured liens against collateral or to strip down liens to the value of the collateral. Only an individual with regular income is eligible for Chapter 13, and such individual’s secured and unsecured debts must not exceed the ceilings that are established in the Bankruptcy Code. Depending on a debtor’s disposable monthly income, creditors’ claims may not need to be paid in full under a Chapter 13 repayment plan. Upon the successful completion of such plan, an individual may receive a discharge of any remaining amounts due on his or her dischargeable debts. Staying a foreclosure sale, vehicle repossession, garnishment, levy on assets, or eviction proceeding. Repaying creditors in part or in full under a payment plan that fits your budget. Protecting your co-signers who may be at risk because of your consumer debts. Retaining ownership of your assets, even those that are non-exempt, provided that you pay the liquidation value of your assets to creditors over the term of the Chapter 13 plan. Avoiding direct contact with creditors, who will often be paid directly by the Chapter 13 bankruptcy trustee who is appointed to administer your monthly plan payments.